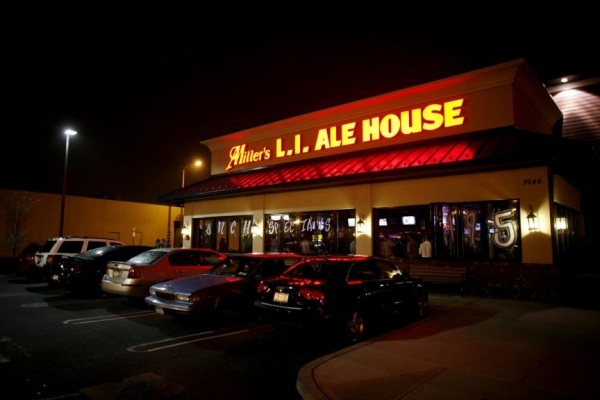 Long Island's Miller's Ale House locations have become the go-to places to grab a cheap (but great) bite, hang out with friends, get awesome deals on drinks and catch special sporting events. During lunch, the place typically isn't so busy even though they have daily lunch specials. Go there during the evening, especially on a weekend and you may wait an hour for a table. During certain sporting events and UFC fights, you may even find yourself shoulder to shoulder with the person next to you! Since the Deer Park location is adjacent to the Tanger Outlet stores, it seems busy no matter what time it is. Keep that in mind if you're looking for a quick bite. The family-run (and family-friendly) Florida-based restaurant chain prides itself on great food and great prices. One look at the menu and you'll see just that. Appetizers are cheap and always enough to share. They have tons of seafood entrees, sandwiches and burgers, salads, steaks, pasta entrees as well as a few house specialties at unbeatable prices. Some of our favorites are Lobster Bisque, Fried Mozzarella, Blackened Chicken Quesadilla, Loaded Fries, Fried Calamari (with a thai sauce), Mahi Piccata, Bahamian Dolphin, Steak Fajitas, Bistro Burger, Big Red Sandwich and BBQ Pulled Pork Sandwich. I've been visiting various locations over the last 20 years and their menu has been practically unchanged until recent years. The food has been consistently great and I've yet to have a bad experience. Service has always been okay but it has definitely gotten better over the last few years. Most of the times I visit Miller's it is a mad house so its not like I'm expecting over the top, jump-through-hoops service anyway. Each location looks practically identical in it's decor. Flat screen TV's, large fishing poles and vibrant fish mounts fill the restaurant and pay homage to it's Floridian heritage.